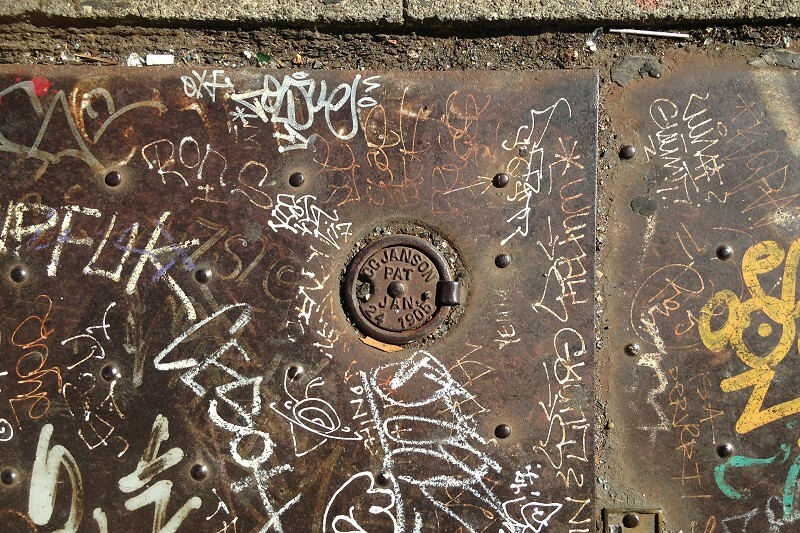 You’ve seen the sidewalk elevators in old Oakland sidewalks, with their ancient battered steel doors. Most of them came from San Francisco companies, but Carl G. Janson manufactured them in Oakland, at 6420 San Pablo Avenue. I haven’t done a big search for Janson’s biography, but he was granted several patents, one for a sidewalk-elevator door frame in 1912 and another for a bunk in 1921. The 1905 patent referred to on this door doesn’t turn up. 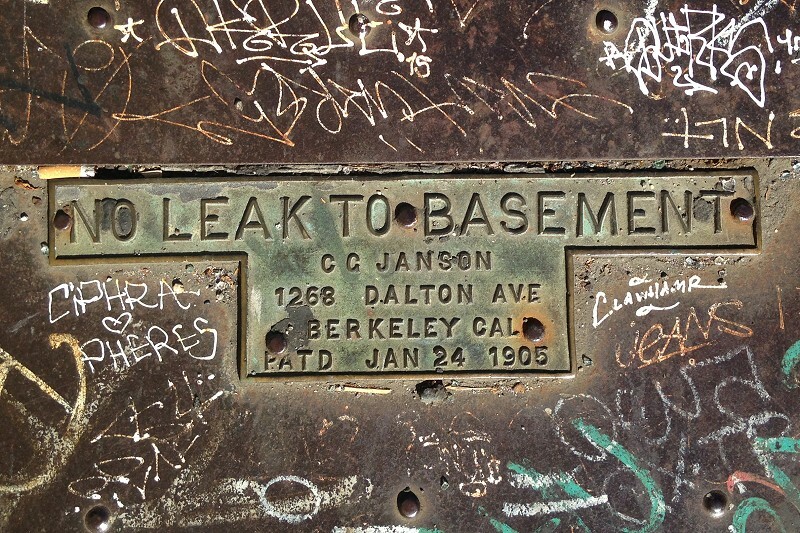 This Janson door on 13th Street indicates that his firm was in Berkeley for a time. And maybe it was because I’d just left the Oakland Museum after seeing the Roy De Forest show, but the door struck me as unexpectedly attractive. This entry was posted on 7 July 2017 at 8:03 am and is filed under Streetscape. You can follow any responses to this entry through the RSS 2.0 feed. You can skip to the end and leave a response. Pinging is currently not allowed. 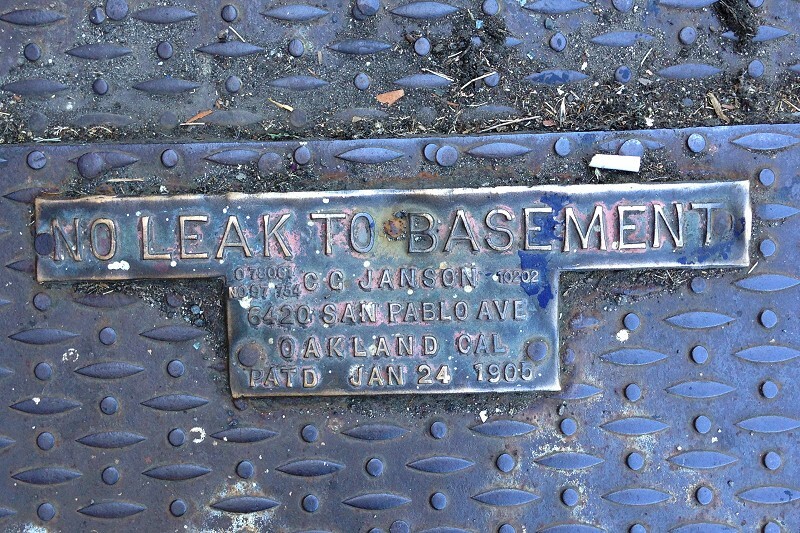 What does “no leak to basement” mean?